Are you interested in a second home that pays for itself? Or renting a tiny home for your next vacation? 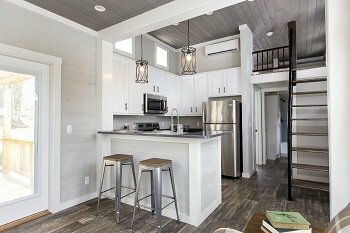 Simple Life has the perfect tiny home for you! Many of Simple Life’s tiny homeowners In Western North Carolina (about 30%) rent their tiny homes when they aren’t staying in the community. Our North Carolina communities are just a short drive away from Downtown Hendersonville and Asheville, which boast a surprising variety of restaurants, breweries, wineries, cideries, and art galleries. They are also near world-class recreation, including gorgeous waterfalls, hiking, and mountain biking. 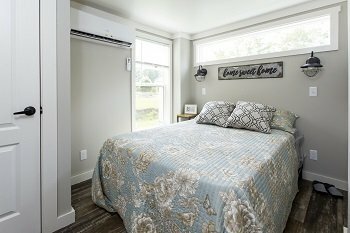 Our attractive location results in high occupancy rates and great people in our rental tiny homes! Some residents manage their own rentals through Airbnb or VRBO. Simple Life also offers a fully managed rental program in The Village, The Meadows, and The Hamlet through WNC Mountain Rentals. READ REVIEWS OF THE MANAGED RENTAL PROGRAM! 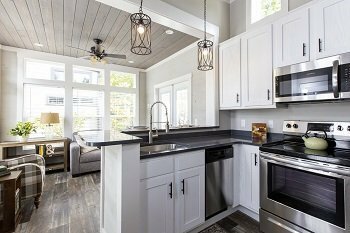 To learn more about the managed rental program in North Carolina or to explore tiny homes for a self-managed rental, please contact our Sales Preview Center at (828) 707–0969 or info@simple-life.com, or visit us at 24 Empire Ln. Flat Rock, NC 28731. We are open Monday through Saturday 10 AM – 5 PM and we look forward to assisting you! Simple Life’s Wildwood, FL community is currently in the early stages of development and details on vacation ownership and vacation rentals are still being finalized. Click to join our exclusive newsletter and receive exciting updates about rental opportunities in our Central Florida community. 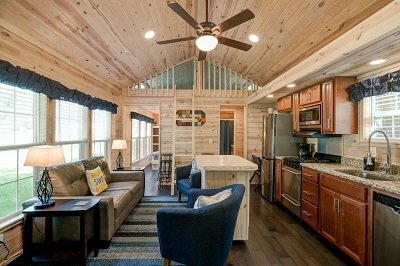 Vacation In A Tiny House At Simple Life! Our owner managed tiny home rentals each have a personal touch and include everything you’ll need for the perfect tiny house getaway! Click to explore these beautiful, unique tiny homes for rent. 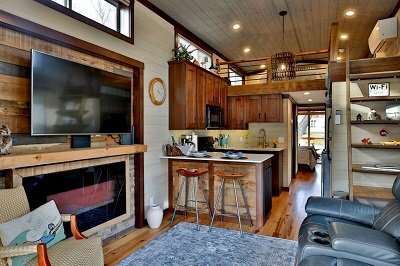 WNC Mountain Rentals manages several beautiful cottages and tiny homes located in Simple Life’s communities. Click to be redirected to WNC Mountain Rentals’ website where you can search availability and place your reservation. Thanks for your interest in a tiny home vacation rental at Simple Life! Whether you are here for a weekend, a few weeks, or longer we ask that you abide by Simple Life’s Rules and Regulations. (You will be given a copy at the signing of your contract.) This includes adhering to arrival and departure times, quiet hours, picking up pet waste, and observing all posted speed limits. We look forward to hosting you and introducing you to our grounds, our amenities, and the philosophy of our lifestyle. 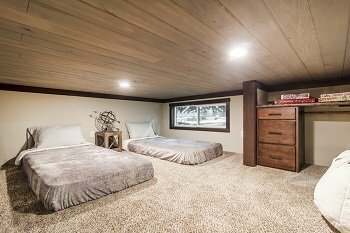 If you would like to tour any tiny homes for sale we encourage you to make an appointment with our Sales Preview Center! We can be reached at (828) 707 – 0969 or info@simple-life.com. We are open Monday through Saturday 10 AM – 5 PM and we look forward to assisting you on your journey to tiny house living.